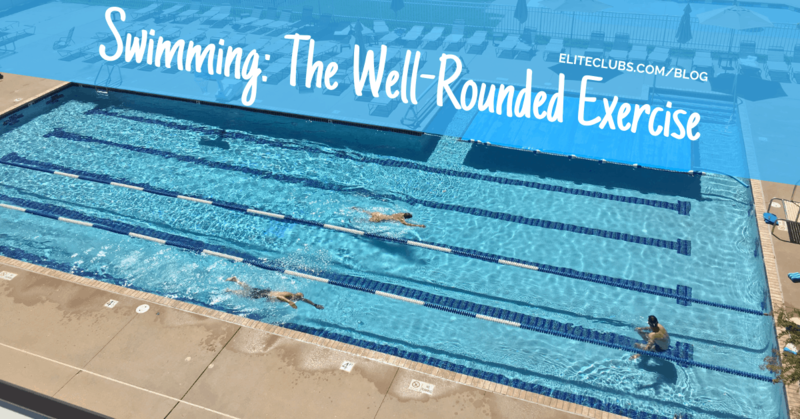 Swimming: The Well-Rounded Exercise | Elite Sports Clubs: Where You Belong. It’s a well-known fact that exercise is good for your body. It’s also very well-known that exercise can be good for your mood. While any type of movement can be credited toward both of those “good for you” categories, aerobic exercise holds an extra special place. Swimming specifically is known to drastically increase physical health as well as mental well-being in ways that other activities just might not be able to do. When swimming, you use a whole lot of muscle, increase your blood flow drastically, and repeat the same motions, allowing you to slip away into relaxation and de-stress. Among others, these reasons are considerable examples of how swimming for exercise is great for a well-rounded health. Exercisin’ Makes Me Feel Good! Before we get into the important physiological summary, I would just like to point out the best part of exercise (and you’ve more than likely heard of it). Exercise boosts your mood. Your body produces endorphins, which are chemicals that are sent to your brain that block the receptors for a pain signal. They are also well-known for causing a “euphoric” feeling, similar to that of opioids. In short, endorphins make you feel nice and relaxed. Swimming utilizes almost all of the muscles in your body, even the tiny accessory ones that you sometimes forget you have. When you move, your muscles scream to the rest of your body that they need more oxygen. Your heart rate needs to increase so your heart can keep up with the amount of blood it needs to transfer. Blood is responsible for carrying and delivering all sorts of important things throughout your body, not just to the muscles. It carries oxygen and carbon dioxide to and from the lungs, it transports vitamins and minerals to the necessary organs, and takes part in filtering out the bad stuff in your liver and kidneys (there’s a TON of science that goes into this, but that’s a brief summary). When your body and brain are receiving all of the nutrients they need, you’ll start to feel more energized, your memory will increase, and because of those endorphins, you’ll be in a great mood. The best part? The more frequently you exercise, the more efficient your heart becomes at pumping blood throughout the day. Therefore, you’ll be able to experience all of those benefits throughout the day, not just while you are exercising. Physiological benefits aside, swimming is a great way to clear your mind and de-stress in a way that can’t be provided by other types of exercise. First and foremost, your face is in the water. If your face is in the water, you cannot speak nor can you be spoken to. While this may sound silly and completely obvious, people tend to forget the benefit of alone time. Whether you’re training competitively and completing a hard set, or just taking the laps one at a time, there is a lot to be said for just spending time in the silence of the water. It gives you a chance to think things through and minimize other outside distractions. Plus, if you have some of those feel-good endorphins pumping through your brain, it can help give you a different, more positive outlook on situations, leaving you both refreshed and calm. Another non-physiological benefit that positively affects your mood has to do with the repetitive nature of swimming. While you can switch up strokes, techniques, and paces, swimming can be a lot of the same movement over and over again. Furthermore, the breathing pattern required for swimming provides a lot of benefit as well. Have you ever taken a yoga class where the instructor had you practice a lot of breath control with your movements? How did you feel after the class? Relaxed? Swimming can provide the same opportunity. Your breathing becomes part of your stroke; just as repetitive and perfectly timed as the arm movements and kicks. Take a nice, long, even-paced swim, with a consistent breathing pattern. It’s hard not to relax in the movement of your own body. If you choose, swimming can be beautifully mindless, becoming a way for you to zone out and think about absolutely nothing. Mckinzie has a B.S. 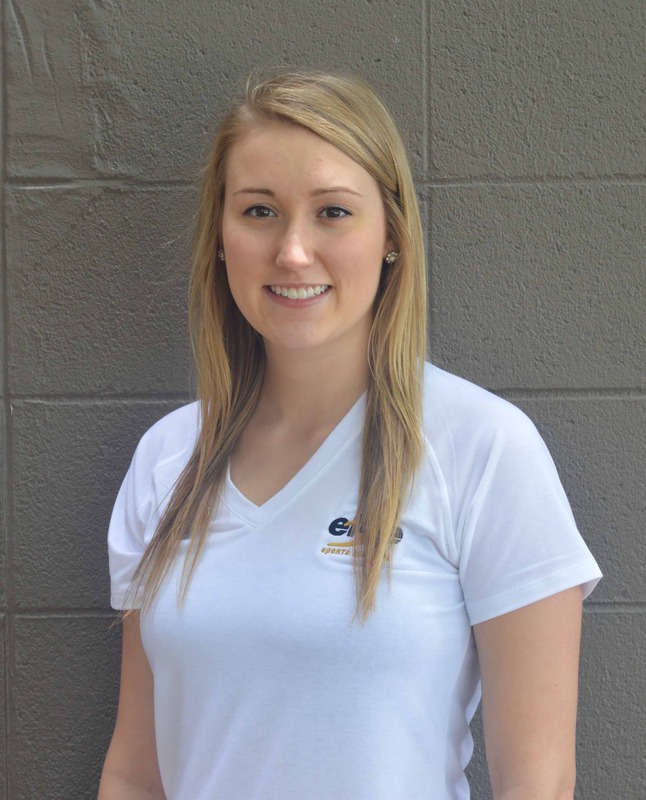 in Kinesiology with an emphasis in exercise and fitness from UW-Oshkosh. She was captain of the University of Wisconsin-Oshkosh’s swim and dive team, was named two-time swimmer of the week by the Wisconsin Intercollegiate Athletic Conference (WIAC), Athlete of the Week by the UWO athletic department, and made second-team all-conference for her efforts in the 200-yard backstroke. Her certifications include Adult and Child First Aid/CPR/AED from the American Red Cross (ARC) as well as a lifeguarding certification from the ARC.